Greetings to all my pals across the music video landscape! It’s Andy Gesner and the staff from HIP Video Promo. It’s no secret that during the past decade, Portland, Oregon has been one of indie rock’s first cities. And during that time, few bands have epitomized Portland’s restless creativity as well as The Helio Sequence. During their ten-year run, the duo have fused electro-rock with acoustic folk, covered The Beatles and Dylan, balanced trippy synthesizers and machine beats with raw guitar and pounding drums, and made themselves a concert force to be reckoned with. One thing has remained consistent: the band’s thoughtful, compelling, intriguing writing. 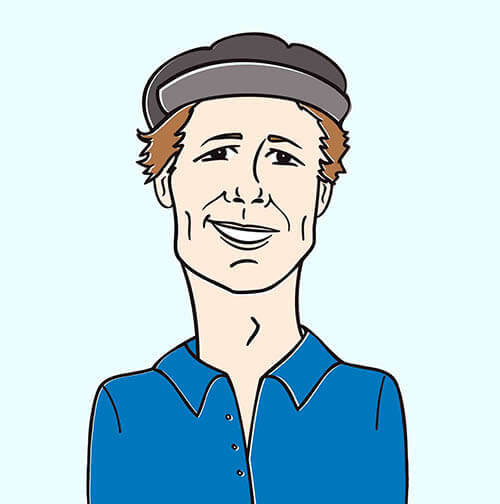 Sets like Young Effectuals and Com Plex bled songcraft; Brandon Summers and Benjamin Weikel have ideas to burn, and have never penned a throwaway. 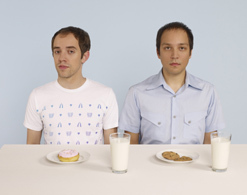 After the release of Love And Distance in 2004, The Helio Sequence took three years to put together a follow-up. The group’s rabid fanbase wanted to know: would the new recordings be worth the wait? Well, Keep Your Eyes Ahead has finally arrived – and it’s the sort of album that feels like the capstone of legendary discography. The band’s fusion of electronic pop, Eighties underground rock, and classic folk has never felt so seamless or so sophisticated. Singer-guitarist Brandon Summers delivers empathetic and confident performances: after taking time to study singing and re-create his voice, his newfound comfort on the microphone is noticeable. He’s always been a passionate frontman; with Keep Your Eyes Ahead, he’s become a technically-accomplished singer, too. On the Dylanesque ballads – “Shed Your Love” and “Broken Afternoon”, in particular – his understated, letter-perfect readings might convince a folkie purist he’s listening to recordings unearthed from a time-capsule buried in 1964. By contrast, “Keep Your Eyes Ahead”, the title-track and lead single, is an anthemic alt-rocker. (That Weikel and Summers make this track feel logically consistent with the folkier numbers on Keep Your Eyes Ahead is testament to their skill, vision, and imagination). Drummer Benjamin Weikel – who has won plaudits for his moonlighting with Modest Mouse – is explosive, driving the song with new-wave urgency and unforgettable fire. It’s an indication of exactly how much onstage heat the duo can bring, and how they’re able to generate a stadium-sized sound from the interplay between their two instruments. Those who caught The Helio Sequence on Jimmy Kimmel Live last week can attest to the group’s staggering two-man energy. They’ll be proving it in Europe this April before returning to the States for another round of relentless touring. For director Whitey McConnaughy (Mudhoney, Band Of Horses, Cobra Starship) the urge to simply shoot The Helio Sequence in concert must have been nearly irresistible – Weikel and Summers are twin spectacles, and provide sufficient camera fodder at every show they do. But McConnaghy’s taste and style is too stark, arty, and hypnotic for something so straightforward, and as he showed in the clip for The Thermals’ “Pillar Of Salt”, he’s fond of capturing bands in action in strange and unfamiliar locales. For the “Keep Your Eyes Ahead” video, he’s built the band a portable stage; really more of a self-contained and well-wired open cage. He then shoots the duo in performance on the streets of the town at night, illuminated up by ambient urban light (neon, streetlamps) and exposed to the elements. Snowflakes flutter into Weikel’s hair and Summers’s breath hangs in the freezing air. They play in a deserted central business district after dark, rock a city bridge, pour their song out to a red-light district, don suits of light, persevere in the Northwest cold to bring their message to the city and beyond. We’re beyond excited to be delivering yet another SubPop clip to you, courtesy of Lacey Swain, Megan Jasper, and the rest of the SubPop team! We’ve got copies of The Helio Sequence’s album Keep Your Eyes Ahead on hand, so please be in touch if you’d like to set up an on air contest or giveaway for The Helio Sequence. If you need more info, call Andy Gesner at 732-613-1779 or e-mail us at HIPVideo@aol.com. You can also visit www.SubPop.com or www.TheHelioSequence.comto find out more about The Helio Sequence.